Ed O’Keefe, current editor in chief of NowThis News, is set to join CNN Digital as VP of CNNMoney and Politics starting May 19. This is both a new role for CNN and comes at a time when CNN gains full control over CNNMoney, as of June 1. Also announced, Lex Haris has been named executive director of CNNMoney. Most recently he’s served as interim editor of CNNMoney and has been the site’s managing editor since 2007. Read the full memo, after the jump. 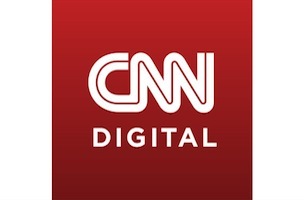 Gang, join me in welcoming Ed O’Keefe as our new VP of CNNMoney and Politics for CNN Digital. This is a new role for CNN, one we created to strengthen and expand two of our most critical beats. How do we do that? By creating big, signature editorial products that people crave, that span mobile, desktop, social and air. By dazzling existing and new audiences with creative angles in video, interactives, images and text. By strengthening our voice and being bolder and more vibrant than ever. Enter Ed. He is uniquely suited for this job. He specializes in mobile, social and video storytelling — critical areas of growth for both Money and Politics. He honed those skills most recently at NowThis News, where as Editor in Chief, he led the innovative start up to do smart, buzzy work that made us take note. Before ‘NowThis,’ Ed was the Executive Producer at ABC News Digital — one of his biggest successes there was his leadership of the politics beat. He also spent time on the TV side, as a producer for various on-air segments and shows, such as ‘This Week with George Stephanopolous’ and working Capitol Hill for both air and digital. Consider what Ed is bringing to two of CNN’s most integral beats: Mobile, Social, Video, with experience in TV and Digital. On top of all of that expertise, he’s just a genuine, nice guy. I suspect that has more to do with being from Grand Forks than all these years in the media business. Ed’s hiring is an unsubtle hint that we are looking to ‘verticalize’ major beats – there will be more to come. 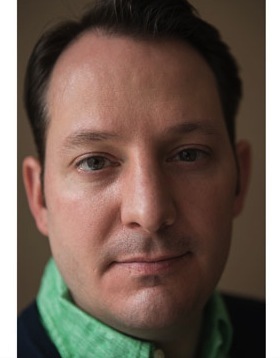 Ed will be based in New York, but he will often be found in DC, especially with midterm preparation in motion and the critical task of hiring a managing editor for ‘Digital DC.’ Ed will report to me in his new role, and he starts May 19. Lex Haris is now the Executive Editor of CNNMoney. Lex has been doing an excellent job as the interim editor for CNNMoney for the past few months since Peacock’s departure. Lex has put a focus on getting ready for the changes coming 6/1, including new luxury and media verticals, new specials and tentpoles, and working tightly with Caleb and team to bring the Money brand across the weekend show and all on air segments.